Being a travel photographer who captures the best stunning shots requires more than just the camera and gear. During our outdoor photography, there are times that unexpected weather will come and strike us. 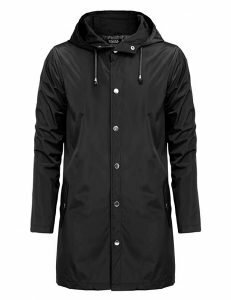 Keeping all this in mind and with an aim to lessen the burden further, I bring you the best rain jackets for most photographers and filmmakers. A completely sealed, water-proof rain jacket, the Matin Rain Wind Jacket is robust enough to save you and your camera lens from a torrential downpour or a storm. You must have this jacket while you are in the remote area and trying to click your problems away. It is comfortable as there are ventilation holes to avoid suffocation. A mesh bag will keep the jacket in good condition for more usages. It comes at an affordable price with so many benefits to offer. It is the best companion to have along with you for the rainy season. With an inner mesh-work, it will stay dry even in the heavy rainy days. The mesh-work leaves you with no moisture. Thereby, it will give your skin the facility to breathe properly. 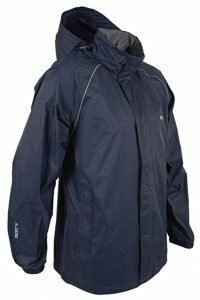 This jacket is another ideal choice for most photographers in the rainy season as well as in the low-light conditions. It comes with a feature of reflective piping, aiding in your visibility to your peers to trace the path you are taking. Featuring Pitzips, the jacket regulates the body temperature by increasing the air-flow. It is available in different colors and sizes. 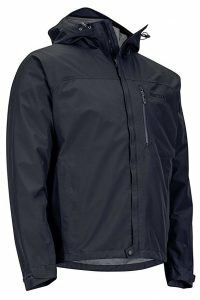 Available at an affordable price, the Fit Rite Men’s Nylon Hooded Waterproof Rain Jacket offers convenience at its best with light weighted feature and the facility to carry it anywhere you go. It’s also a must to have rain jacket for travel photographers. You won’t be disappointed even in the extreme weather conditions. 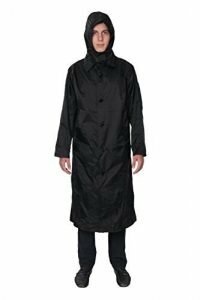 Comes with buttons, the Fisoul raincoats will protect you from wind and rain. You’ll also appreciate the breathable and comfortable wearing experience. 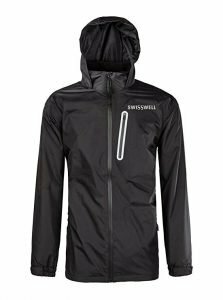 I can’t help but include another waterproof rain jacket from Marmot brand. 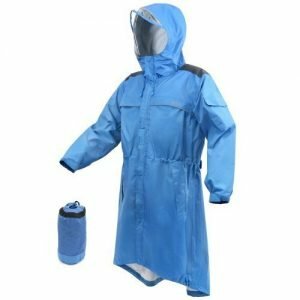 Top rated on Amazon, this windbreaker will repel rain water when you’re out shooting. As a result, photographers can go through weeks-long camping trips in pouring rain. 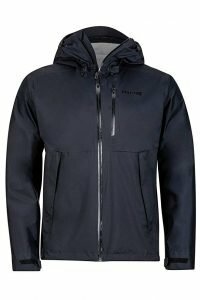 Wantdo Men’s is another great waterproof windproof jacket to feature in this review. With several pockets, it’s essential for most photographers. The kind of a jacket that has a nice feel to it. Simply stylish for any photographers. For most travel photographers, we usually face the unexpected weather. Just like a good rain cover for our cameras for shooting in the rain or storm, having the best jacket is essential for our hiking or trip abroad. As I’ve experienced this many times myself with my other photographer friends, I make this list to help you find the right rain jacket for you. With a series of research and an agenda to meet all the requirements to make the life of photographers a hassle-free, the following is my best recommendations. Let’s be honest, we all have no idea what all it takes to have a great picture. Well, to say the least, there is definitely a story behind each one of them. The life of a photographer is no less than any other profession full of complexities. Be it the conditions as harsh as hot springs or cold as the south pole; their passion is unbeatable. Indeed, there is a different version of this world that they can see and is only visible through their camera lens. Talking about the camera lens, it is like a baby to the photographers. Keeping it scratch less, dust free, away from the water and always ensuring the best of conditions for it, it is a pain that every photographer goes through. By being there at the right moment for photos is what makes us very proud of our work. In case you are a photographer and is somehow on this page, you owe me a big time.